Learn more about East Asian geography, food, culture, and travel with wordfinds, mazes, dot-to-dots, matching games, and more. Great for kids and adults. Print them out and keep them handy for a quick activity on your trip! There are lots of ways to fly between the USA, Canada, and China! 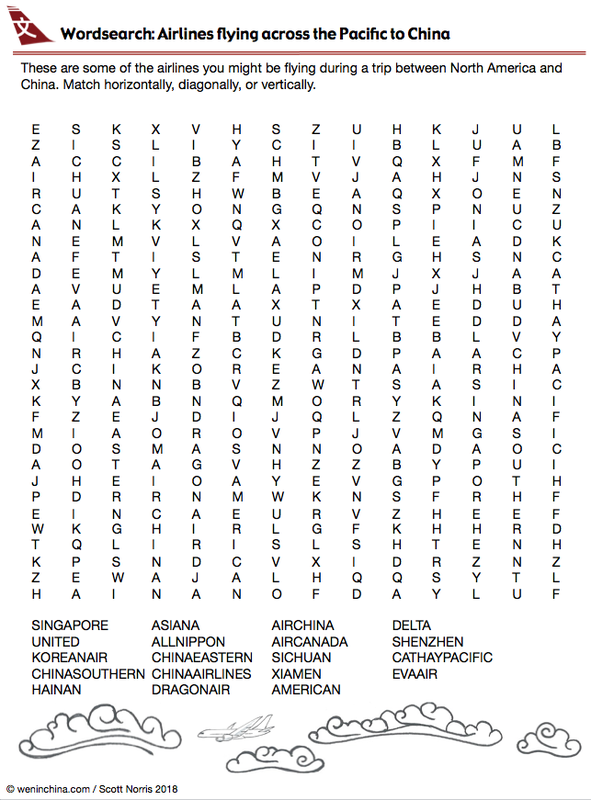 Here's a word-find to have a little fun while you plan your travels. Click on the above image to open a printable PDF.